In early September 2012, two large U.S. cities considered whether to start fluoridating their water or to stop the practice altogether. A third will put the issue to the voters in November. Portland, Oregon (pop. 593,000) is the largest city in the nation not to add fluoride to its drinking water. On September 12, the city council decided to change that, voting to start fluoridation in 2014. The decision will add fluoride to the drinking water of some 900,000 residents in the metropolitan area. A referendum — which would directly challenge the city’s plan rather than seek a general ban on fluoride — needs about 20,000 valid signatures in 30 days to go forward. 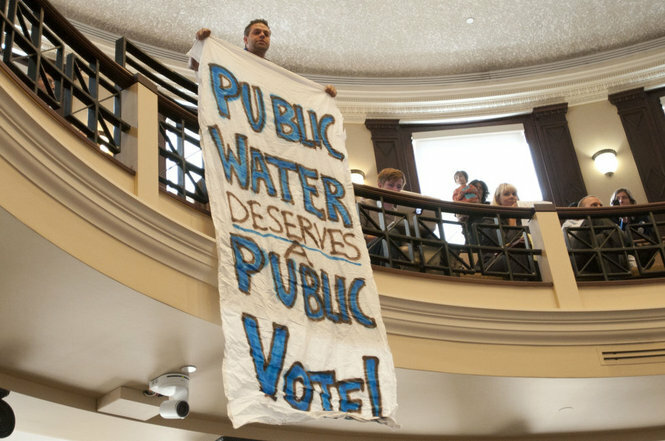 But if anti-fluoride activists gather those signatures, the city’s ordinance will be suspended pending a public vote in May 2014, the earliest possible date under election rules. Portlanders have voted against fluoridation three times, most recently in 1980. This time, opponents said they have 125 volunteers and expect to have 25 paid signature-gatherers. In Phoenix, that same day, a city council subcommittee decided to let its fluoridation policy stand and continue the practice. In Wichita, Kansas, which does not fluoridate, voters will have the last word. This year, citizens gathered enough signatures to force the city council to consider the issue. 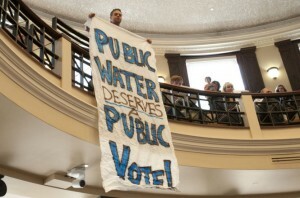 The council could have taken action itself, but pushed the decision onto the public as part of the November 6 ballot. At present, 97% of the western European population drinks non-fluoridated water. In most advanced countries, fluoridation has been tried and rejected. In the United States, 64% of the population lives in areas where the public water supply is still fluoridated. And, in the US, the debate goes on.